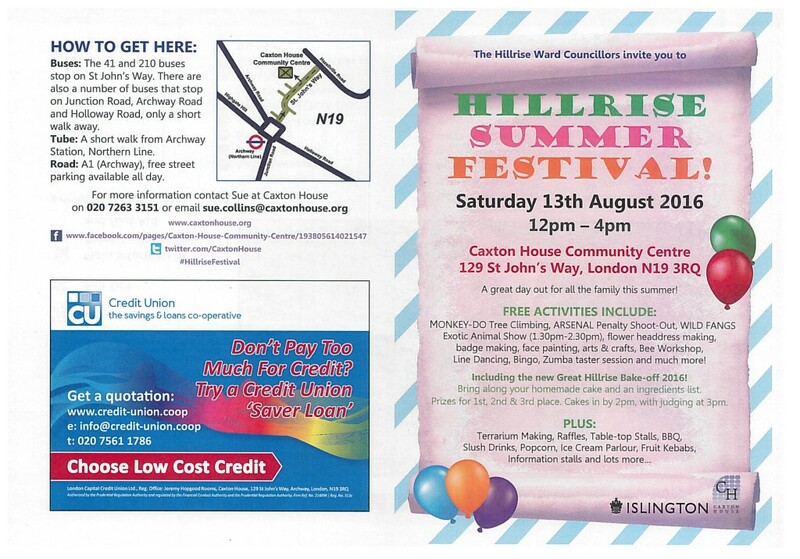 Come along and enjoy the Hillrise Summer Festival! It's a jam-packed event, full of fun and freebies and this year it will be even bigger and better than before! 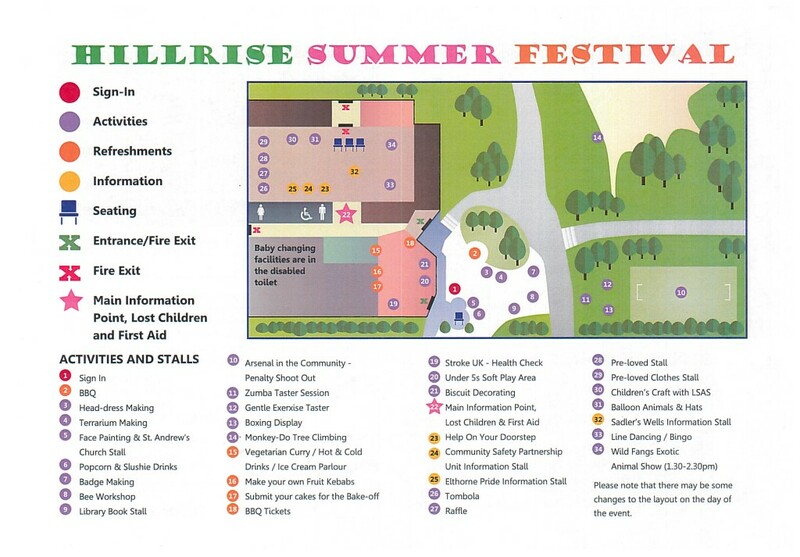 With loads more new groups, stalls and organisations getting involved it will be a day out to remember. This year's fun day will include: Monkey-Do tree climbing, Wild Fangs exotic animal show, Arsenal penalty shoot-out, terrarium making, floral headdress making, badge decorating, bingo, raffle and tombola, arts and crafts, and much more! Including our first Hillrise Bake-off 2016 competition! Bring along your handmade cake (and an ingredients list) for a chance to win our first Hillrise Bake-off 2016. Cakes must be in by 2pm on the day, Prizes for 1st, 2nd and 3rd place.